JUNE 2, 2004 — Turning 30 often involves mixed feelings of accomplishment and angst -- satisfaction with establishing a career and perhaps starting a family, and the reluctant realization that you really are grown up and getting older. 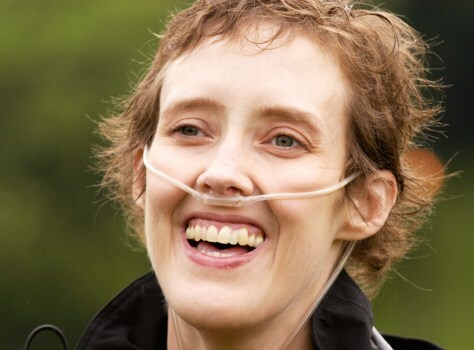 For Stephanie Williams, 33, her thirtieth birthday marked a much greater period of transition, one from a healthy and successful magazine writer in New York City to cancer patient. Rates of women who are opting for preventive mastectomies, such as Angeline Jolie, have increased by an estimated 50 percent in recent years, experts say. But many doctors are puzzled because the operation doesn't carry a 100 percent guarantee, it's major surgery -- and women have other options, from a once-a-day pill to careful monitoring. In July 2001, just two months after turning 30, she was diagnosed with stage III breast cancer, an invasive form of the disease that had already spread to her lymph nodes. In the last three years, her battle with breast cancer has been an emotional roller coaster that's involved double mastectomies, additional surgeries, radiation treatments, nonstop chemotherapy with a variety of drugs, and side effects including hair loss, nausea and extreme fatigue. During that time, the cancer spread to the skin on her chest and back, and most recently to her lungs. In May, one doctor gave her a dire prediction -- just a couple of months to live -- though another doctor said a time limit simply couldn't be put on her life. Death rates from breast cancer have dropped in recent years, thanks to earlier detection with mammograms and better treatment protocols. Doctors have developed new drugs like Herceptin and aromatase inhibitors that are making a big difference for many patients, but not for Williams. Even the old mainstay tamoxifen wouldn't work for her type of breast cancer, which is particularly aggressive as are most that develop before menopause. And though a screening mammogram might have detected her cancer earlier, routine mammograms aren't recommended until a woman reaches her 40s. "I feel a little lost in the shuffle," Williams says. That's not to say she hasn't received good care. She's been treated at New York's Memorial Sloan-Kettering Cancer Center, one of the world's finest. Unfortunately, though, the best medicine has to offer still isn't enough to help all cancer patients. But armed with new knowledge about the genetics of cancer and ways to detect and interfere with abnormal cell growth, doctors predict they'll be saving many more lives in the next few decades. Like breast cancer, death rates from other top killers -- lung, prostate and colorectal cancers -- have been declining. And since former President Richard Nixon declared the War on Cancer in 1971, survival rates for all types of cancer combined have increased from 50 percent to 64 percent. That may not seem like a huge change, but doctors say it's been a substantial achievement -- and they expect that number to continue to improve, and at a faster pace. "We are in a position to make tremendous progress," says Dr. Harmon Eyre, chief medical officer of the American Cancer Society in Atlanta. The latest facts and figures"In 1971, we were entering into the tunnel and couldn't see anything at the other end," he says. "Now, we can see light at the end of the tunnel, though it's still way out there." One of the biggest changes since the early 70s is that physicians now have a much greater understanding of how cancer develops. "Back then we had very little idea of what the difference was between a cancer cell and a normal cell," says Dr. Al Einstein, executive director of the Swedish Cancer Institute in Seattle. Today, doctors know that DNA changes cause the out-of-control growth that characterizes cancer. And with the decoding of the human genome, they have identified many of the specific genes that are involved in a range of cancers. That knowledge is enabling researchers to develop new-generation drugs, like Gleevec, Avastin and Erbitux, that specifically target cancer cells rather than obliterating both the body's good and bad cells, as chemotherapy and radiation do. The result: fewer devastating side effects. While these new drugs have been approved for specific cancers, Dr. Bruce Johnson, head of lung cancer research at Harvard Medical School and a spokesperson for the American Society of Clinical Oncology, says doctors are now experimenting with using these targeted treatments in a variety of cancers and some encouraging findings will be released at the group's meeting this month. Even if doctors can't cure all cancers, they hope to turn some of them into chronic illnesses that are managed, for example, like diabetes. "For some types of cancer, progress is going to come slowly so we need intermediate goals," Einstein says. To be sure, doctors don't expect to ever completely prevent DNA changes that set the stage for cancer. People are living longer than ever, and the risk of such changes increases with age. But researchers are working to develop new ways to detect early precancerous changes before they become full-blown malignancies. So instead of scanning for breast lumps, for instance, doctors might one day give a blood test that detects molecular markers that signal precancerous changes in breast tissue. "Early screening and prevention really is the hope of the future," Einstein says. Eyre predicts a day when routine physicals include urine, saliva or blood tests for several of these early precancerous changes. That could allow doctors to nip them in the bud before they have a chance to spread, or metastasize, to other organs and cause death. "What we see today as cancer will seldom occur in the future," Eyre predicts. Of course, no one knows exactly when, and if, all these advances will be realized. Studies take years and years to complete. And cancer, which is actually more than 100 distinct diseases, has proven time and time again to be a very aggressive and wily foe. Many in the medical community feel they're getting a better grip on the enemy. But do they feel they're winning the war? That depends, it seems, on which battle you're talking about, which angle of attack and whom you ask. "To me, cancer isn't just one war, it's a lot of individual wars," says Dr. David Agus, research director of the Prostate Cancer Center at Cedars-Sinai Medical Center in Los Angeles. "Some wars we're winning." Take lung cancer, for instance, which doctors often cite as a success story. Decreases in death rates are an important achievement, but they have largely occurred because of efforts on the prevention side: fewer people are smoking so fewer are getting lung cancer decades later. It's still a difficult disease to treat though. Screening with the Pap smear has allowed doctors to slash death rates from cervical cancer. But in cancers that are frequently diagnosed at late stages, like those of the pancreas and ovaries, patients face tough, often losing battles. "The bottom line is a lot of people are losing the war on cancer," Agus says. "But in the last year or two, for the first time, we're gaining a step up." Eyre maintains that the big picture is encouraging. "Up until 10 years ago, we were losing the war on cancer in terms of measurable numbers," he says, noting that overall death rates didn't begin declining until the 90s. "And now we're beginning to see the tide change for the first time. We see it can be won." Feeling better for the first time in weeks, Stephanie Williams enjoys a walk in Brooklyn's Prospect Park in May. Even patients like Williams aren't giving up on the fight. She's written a new novel that deals with a young woman who develops breast cancer, and a third of the profits from the book, "Enter Sandman," due out in mid-August by McWitty Press, will go to a breast cancer charity to help raise awareness of the disease in young women. "It was the right thing to do to give something back," Williams says. Having cancer has had one big positive effect in her life, she says, giving her the time to fulfill her lifelong dream of writing a novel. For now, she's looking forward to her book party, enjoying time with family and friends, and hoping the success with her current chemotherapy regimen will continue. "You don't stop hoping." Editor's Note: Stephanie Williams passed away on July 3, 2004.